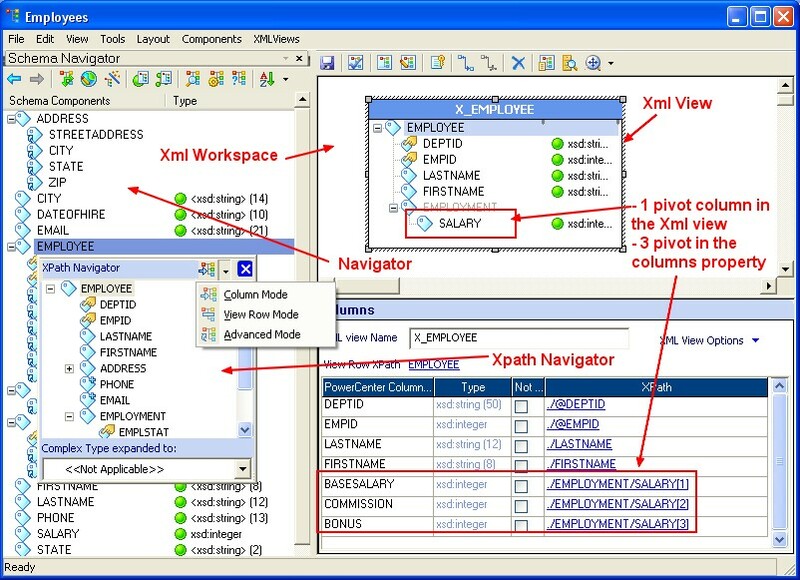 The PowerCenter - Designer represents an XML hierarchy in an Xml definition as a set of views. Each view represents a subset of the XML hierarchy. A view consists of columns and rows. Columns represent elements and attributes, and rows represent occurrences of elements. 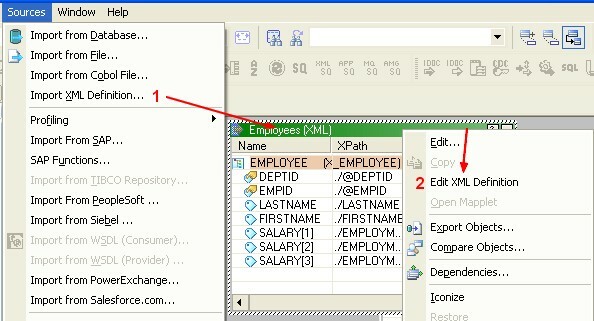 You use the XML Editor to edit the XML views. Then double-click the XML definition or right-click the XML definition and select Edit XML Definition to open the powercenter_xml_editor.